I just love that red dress!! Love love love that red dress!!Fab! 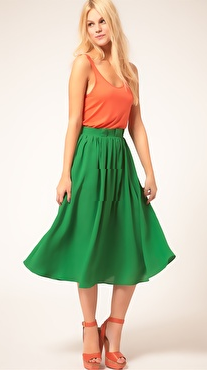 That green skirt would be so fun to wear on Christmas day. Happy Holidays! Uh oh don't tempt me with MORE sale bargains lol! I went a bit overboard over the Christmas/New Year break and am now sworn off shopping for a few months.... until the next fabulous thing comes along though haha! The first look from asos is gorgeous! Tina, just stopping by to say hello...I hope all is well!